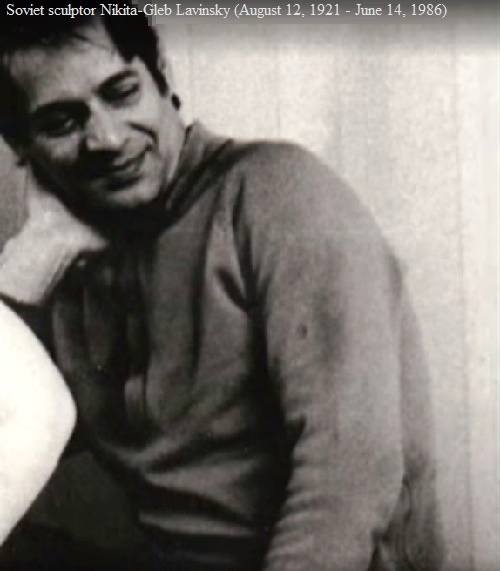 Soviet sculptor Nikita-Gleb Lavinsky (August 12, 1921 – June 14, 1986) is the author of monuments and busts, installed in different cities of the former USSR. 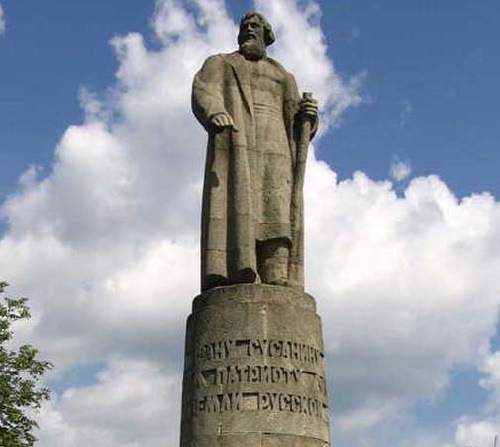 His most famous work is the second monument to Ivan Susanin in Kostroma. Honored Artist of the RSFSR, Commander of the Order “Badge of Honor”. According to testimony and materials released in the TV documentary on the First Channel “Odd Man Out” (2013), his father was the prominent Soviet poet Vladimir Mayakovsky. 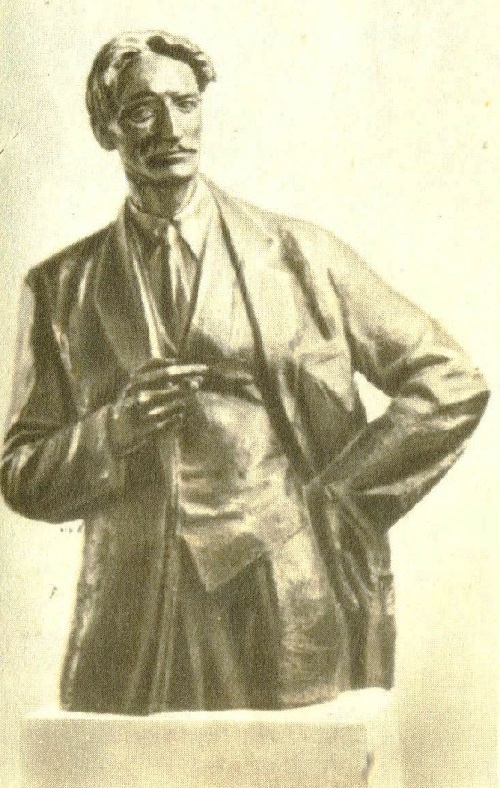 The fact that the biological father of Nikita-Gleb is Vladimir Mayakovsky, who was acquainted with a married Elizaveta (Lily) in 1920 during their joint work in the satire magazine “Windows of ROSTA”. The documentary film “Odd Man Out”, which premiered at the First channel to the 120th anniversary of the poet’s birthday, 20 July, 2013 revealed that fact. 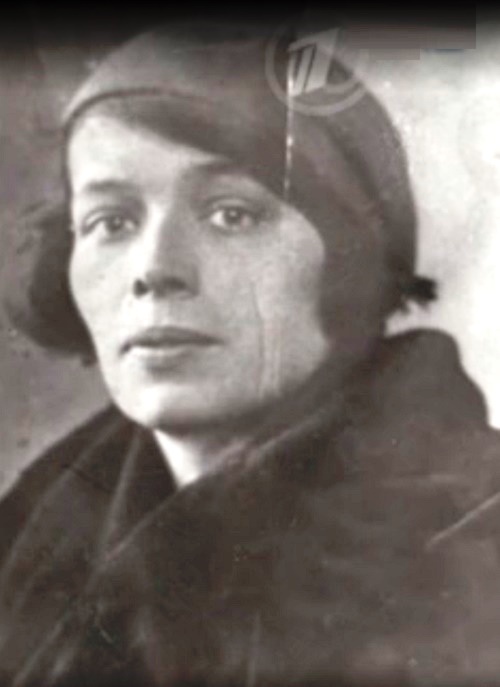 In the film, Elizaveta, the daughter of Lavinskaya, confirms the fact, relying on documents and photographs of the family archive, evidence of her late father, who left memories of visits of Mayakovsky to their family and his relationship with her mother. 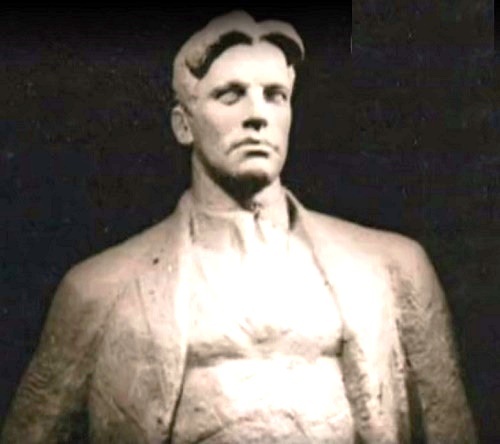 About an unusual resemblance of Gleb-Nikita Lavinsky to Mayakovsky long before the documentary testified literary critic Evgeny Guskov in the memories of visiting the studio of the sculptor in 1965: “Nikita was actually very similar to Mayakovsky. Everything – look, manners, and poetry readings – a stunning, deep low voice … When he began to read: “The horse has fallen, has fallen the horse …” – we all saw Mayakovsky in him. Probably on this occasion his father did not like him. 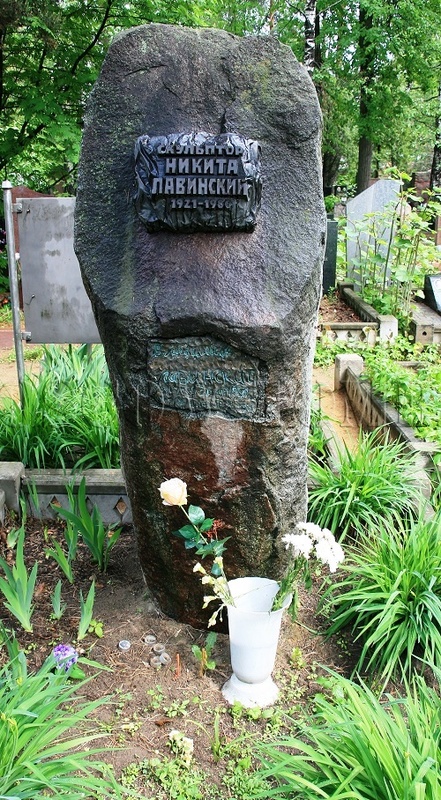 Anton Lavinsky, among other things, made a “futuristic coffin” for Mayakovsky, where he was buried. They were friends with Mayakovsky. In 1941 Lavinsky, like most of his peers, went to the front and passed the entire war as a simple soldier. At war he served as a radio operator – “listener.” He fought on the Transcaucasia front. At the front, he first married. Total has been married three times. After World War II ended, Lavinsky entered the Surikov Institute, workshops of Nikolai Tomsky and Alexander Matveyev. Thesis – a monument to Ivan Susanin in Kostroma, established in 1967. This is the second monument to the hero of the Kostroma land in the regional center. 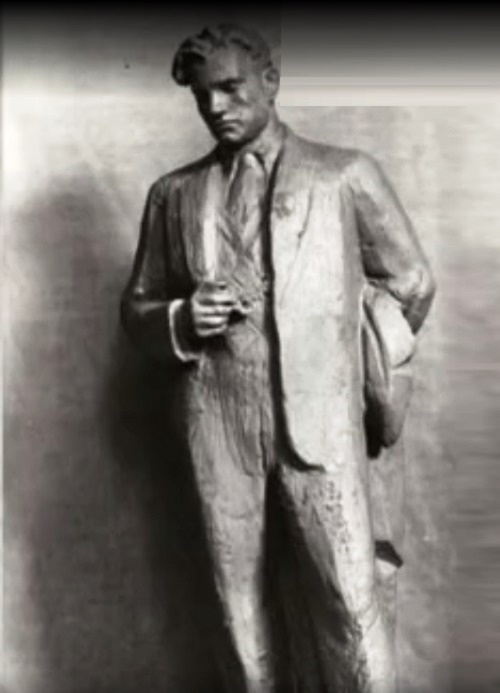 Lavinsky is also the author of several monuments and busts in different cities of the former USSR, including the monument to Mayakovsky. The workshop of Soviet sculptor Nikita-Gleb Lavinsky in Moscow on Myaskovsky street, 27 in the 1960s – 1970s has been a meeting place for the Moscow Bohemia. The sculptor himself lived at the address Kirov, 21; and since 1970 – on the street Bryanskaya, 4. 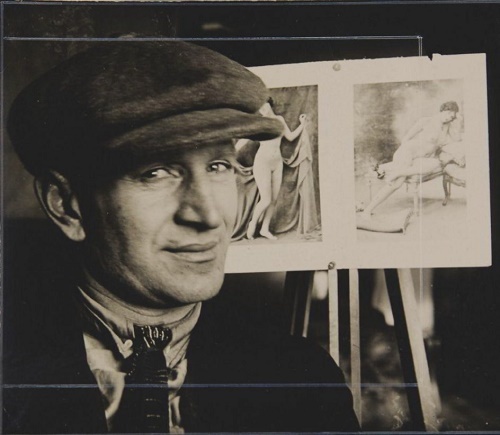 On the activity of the sculptor Nina Ignatius wrote a monograph “Nikita Antonovich Lavinsky” (Leningrad. Artist of the RSFSR, 1987). The book says that in the works of the acclaimed master a large place occupied images of writers, philosophers, scientists, public figures. The book contains about 30 works of the master, including easel portraits. He was awarded the Order “Badge of Honor”.